The team of History Museum “Iskra” (“Spark”) in the central Bulgarian town of Kazanlak is expecting a permission to carry out excavations at the Late Roman, Early Byzantine, and medieval Bulgarian fortress of Buzovo Kale in the town of Buzovgrad. “We are doing all in our powers to receive a permit for rescue archaeological excavations of the Buzovo Kale Fortress on the territory of Buzovgrad,” says Momchil Marinov, Director of the Kazanlak Museum of History “Iskra”, as cited by the Focus news agency. He says the Museum and Buzovgrad Mayor Mihail Yanushev are working to establish a new route for cultural tourism in Kazanlak Municipality which is supposed to include major archaeological landmarks such as the Buzovo Kale Fortress and one of the region’s largest Ancient Thracian tombs. Buzovo Kale (“kale” is the Turkish word for “fortress” used in Bulgaria as a remnant of the period of the Ottoman yoke) was named after a mythical Bulgarian voivode (rebel military commander), Buz, who led the defense of the fortress against a seven-month siege laid by the invading Ottoman Turks at the end of the 14th century. “We are currently in the process of receiving an excavation permit. It is still unclear when the excavations will start. The most convenient time would be in May but if we can’t make it by then, it will happen in September-October. We have been met with understanding by the institutions which are in charge of issuing the permit,” Marinov adds. He notes that the Buzovo Kale Fortress is interesting not only as a potential tourist attraction but also from a scientific point of view, especially since the Kazanlak Museum has major achievements in Antiquity archaeology specializing in Ancient Thrace but the medieval sites in the region have not been researched to a sufficient degree. 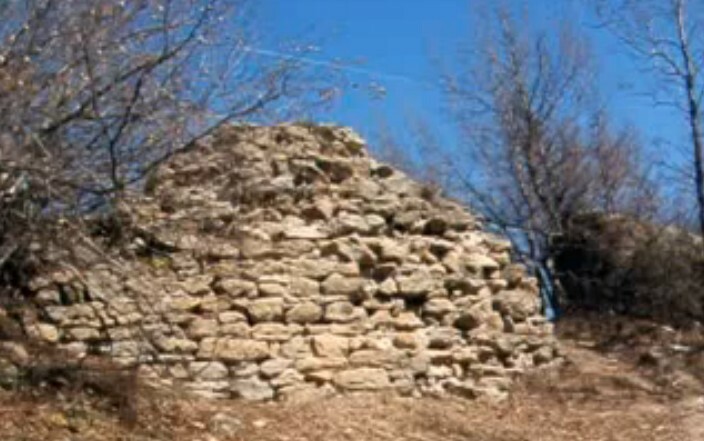 “There has been research of [monuments] from medieval Bulgaria but it hasn’t been sufficient given the potential that we have, so we will do everything we can to research the Buzovo Kale Fortress as one of the excavated sites [in the region] by the end of this year,” explains the Director of the Kazanlak Museum of History. He adds that Buzovo Kale was one of the important fortresses in the Kranska Hora, a medieval administrative district during the Second Bulgarian Empire (1185-1396 AD), which also has older layers from the Roman and Byzantine periods. The Buzovo Kale Fortress (“kale” is the Turkish word for “fortress” used in Bulgaria as a remnant of the period of the Ottoman yoke) is a Late Antiquity, Early Byzantine, and medieval Bulgarian fortress located in the Sarnena Sredna Gora Mountain near the towns of Buzovgrad and Kazanlak. In the Middle Ages, it controlled the road between the fortresses of Kran and Boruy (today’s Stara Zagora) and the valley of the Tundzha River, defending the Kazalak Valley from attacks from the south. The so called Buzovgrad Megalith (a large stone used as part of a larger structure or a monument), which is dated to the Late Chalcolithic (Aeneolithic, Copper Age) and the Early Bronze Age, is located nearby. 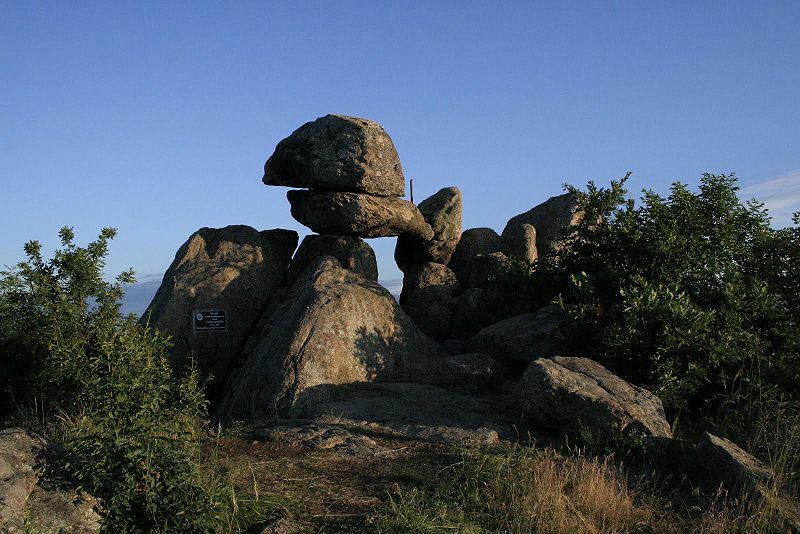 The Buzovgrad Megalith is also believed to have been a part of a larger Ancient Thracian ritual complex, with a large Ancient Thracian tomb also found in the area. The Buzovo Kale Fortress has a rectangular form and an area of 17 decares (app. 4.2 acres). Its fortress walls were almost completely destroyed by the Ottoman Turks during their invasion of the Second Bulgarian Empire in the late 14th century. Parts of the fortress wall and a fortress tower have been preserved up to a height of 3-3.5 meters. It also had an underground tunnel to the Tundzha River which was used for supplying water. The artifacts found there include coins of Roman Emperor Constantine the Great (r. 306-337 AD), and ceramics from the Early Byzantine period and from the Second Bulgarian Empire (1185-1396 AD). According to a Bulgarian legend, the Ottoman Turks invading Bulgaria at the end of the 14th century besieged the Buzovo Kale Fortress for 7 months before they managed to conquer it. The fortress was under the skillful command of Bulgarian voivode (rebel military leader) Buz who managed to fend off the Turkish attacks until the Ottomans brought the grand vizier Candarli Ali Pasha (in office 1387-1406 AD) from Albania. The vizier managed to capture a local child who revealed the entrance of the tunnel through which the defenders of the fortress procured water and food. Thus, after they were devoid of these vital supplies, Buz ordered the defenders and the local residents hiding in the fortress to leave at night and disperse into the woods of the Sredna Gora Mountain.